As a small business owner, you run a small but dedicated team of employees. You have a tight-knit group, and you want your team to be productive, but still happy and satisfied. And more importantly, how do you do that without sacrificing more time and spending even more money? Tools and technology can help you keep your employees happy without compromising your business or your bottom line. Let’s take a look at how you can improve job satisfaction for your employees and keep them excited about working for you, and the tools that can help you get there. By using tools and technology, you can keep your employees happy and satisfied. If you’ve ever seen the movie Office Space, you know what soul-killing jobs look like. What unhappy employees look like, and what little work they actually do. That’s what you don’t want your employees to look like. And you also know what kind of boss you don’t want to be. 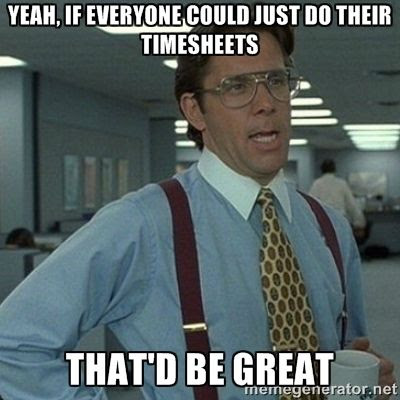 Start by taking a page right out of the movie and talk about timesheets. Instead, make things incredibly easy for your employees – and yourself. By using cloud-based time tracking software, employees can provide you with exact hours – without you having to chase anyone down for information. In fact, your employees can track their own time, using any approved device from any location. This process is incredibly easy for them, but it’s even easier for you. 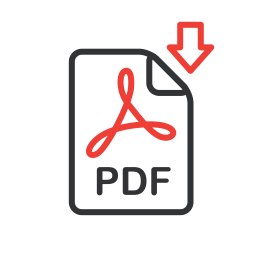 With just a few clicks, you can process payroll with accurate and up-to-date information. According to a study of thousands of managers and employees across the United States, approximately 1/3 of workers say that more workplace flexibility could make them more productive. And it makes sense. When workers don't feel micromanaged and controlled, they’re more relaxed and happier to get their work done. Consider giving your employees some space, perhaps even letting them do some remote work. By giving your employees some freedom and flexibility, you can quickly build trust and loyalty. And by using smart tools like calendars, timers and tracking, you’ll still know where everyone is and what they are working on. Google Calendar. So many small businesses trust Google’s calendar app for a reason. It's free, easy to use and accessible from just about anywhere. Kalendi. This newer calendar app lets you share schedules, attach files and stay on top of what your entire team is doing. Toggl. If you need a straightforward timer, Toggl will work for your company. A very simple option, Toggl can be used on desktop or smartphone. You can even input activities after the fact. It’s a great way for your employees to keep track of billable hours. Clockspot. Of course, we mention Clockspot too – but hear us out. Not only does it offer time tracking and cloud-based timesheets that let your employees check in from anywhere, it also lets you track your employees using GPS. Give your employees the freedom to clock in and track time from anywhere, while still having the peace of mind that they’re remaining honest and your reports are accurate. BONUS: CLICK HERE to download a list of the top 12 software tools that help boost the productivity of your small business. We know. Email is a great way to communicate and get things done. But email is a huge productivity killer. In fact, it’s estimated that between professional and personal accounts, U.S. workers spend 6.3 hours a day checking email. That’s almost the entire workday. It’s estimated that U.S. workers spend 6.3 hours a day checking email. Help alleviate the urge to constantly check email by sending less of it. When employees receive constant emails, they get in the habit of constantly checking in and answering messages right away. This takes time away from their actual work. Instead of email, consider a project management system that everyone can use to track their work. Trello. If you’re a fan of Post-it notes and like simple drag-and-drop, Trello is a great option. It’s simple and user-friendly, and available on multiple platforms. Create different boards to separate different projects, and tag employees so everyone knows what tasks belong to them. Asana. Part project management, part communication tool, Asana lets you create tasks like Trello, but you can also easily message and chat with employeee. Slack. Slack bills itself as a messaging app for teams. It’s a simple interface that lets you share messages and files with your team. When employees are happy, you’re happy – and your business runs better. As a small business, employee satisfaction is especially important. Keeping your workers happy will keep them loyal and remain productive. And the happier and more efficient your employees are, the more primed your business is to grow. ​Enter your name and email below and check your inbox for ﻿the ﻿download link.